Let them know you rule. Let your colleagues know who's really in charge at the office with the Iron Throne business card holder. Whatever your position may be, boss, manager, assistant, or king-- network with style and regality. 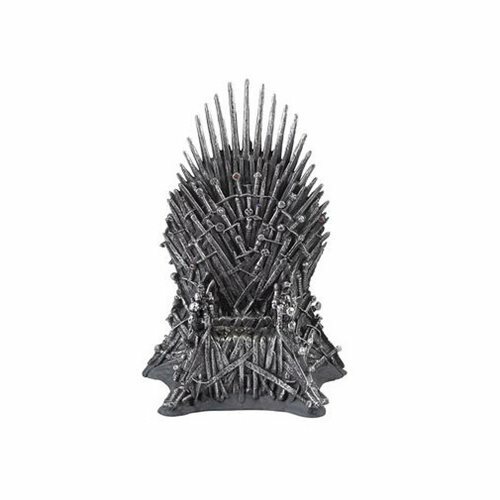 At 4 1/2-inches tall by 3-inches wide, this throne will fit perfectly on any desk. Even royalty needs to exchange phone numbers from time to time.